Top Ten Tuesday is an original concept started by The Broke and the Bookish. Every week a specific theme will be revealed at the website and book lovers are encouraged to share their answers to the theme either at the comment box or at their own blogs. This is another fun way to talk about books, don’t you agree? I notice that most bloggers choose to hang out with Hermione Granger but I would rather sit with this dynamic duo. They would crack me up with their jokes and mischiefs. Now who wouldn’t want to hang out with a man who owns a restaurant and cooks for a living? Plus we could talk all day long about Dave Matthews Band. I truly admire Laurel’s courage. She strives to fit in both hearing and American sign language communities despite her struggles. I would like to ask her about her adjustment issues as well as plans after graduation. I would love to talk to him about his work as I truly admire his dedication to defend the undefended. We could also chat about his kids and parenting style. Atticus Finch spending some quality time with his daughter, Scout. Ok I don’t want to be judgemental but she was hasty in her decision to become a vampire. I’d like to advise Bella to enjoy her life first before committing to immortality and Edward Cullen. She’s my favourite character in the book because she is unpretentious. Her back story is so endearing especially that surprise birthday party. I’d like to learn more about consulting detective work from Sherlock. Perhaps he is willing to share some details of his current case. Actually can I wish for Benedict Cumberbatch to hang out with me during lunch? I had a very frustrating week recently so I need to be in a positive and uplifting environment. Tessa loves Ellen DeGeneres so we could have talk about ‘The Ellen DeGeneres Show’ and watch a marathon of the show later. I still couldn’t figure out the ending of the book. Are the animals real or are they figurative representatives of his parents and the ship’s crew? Hhhhmmmm….I still don’t know the answer! Who would you choose to sit at your lunch table? Feel free to share in the comment box below. If you choose to blog your answers, please include a link to The Broke and the Bookish on your own Top Ten Tuesday post AND add your name to the Linky widget at the website so that visitors can check out other lists! This entry was tagged Fiction, Global, Readers, Top Ten Tuesday. Bookmark the permalink. If Cumberbatch is at your table, save a seat for me! This is such a great exercise…I’ll definitely be coming up with my own top ten soon. Hi. Thanks for the comment. 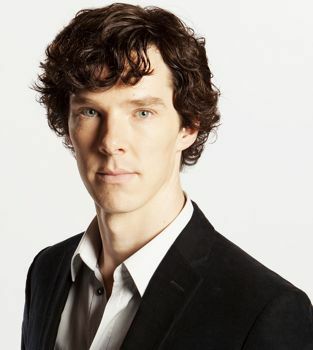 Ah, another Cumbercollective. Great! It would be fascinating to sit with Sherlock Holmes! He’d probably talk about everyone else in the lunchroom and what’s going on in their lives based on deductions rather than gossip! Hi. Thanks for dropping by & leaving a comment. Hehehe perhaps the lunch would turn out to be a murder mystery with Sherlock investigating it. That would be awesome, wouldn’t it? Not the fact that someone got murdered, but otherwise yes! I got busy and forgot to make this list. I’ve been so mad at myself for that because I had it half prepared (in my head) already! So, I don’t have a link to leave you. Mine was going to include Fred & George Weasley and Sherlock Holmes. Also, Magnus Bane and Tessa Gray from Cassandra Clare’s TID and TMI series. Jenks from Kim Harrison’s Hollows series (hell, I’d probably like all the characters in that series sitting with me) and that’s as far as I’d gotten. I love that you put Bella Swan just so you could advise her about her life choices; that’s something I would do! Lol thanks for that Bella comment. I’ve not heard of Kim Harrison so will check out the books. Well what I do is to choose topics, write them in advance & schedule posts. By doing so, I don’t waste too much time on blogging. I notice that Top Ten Tuesday posts takes time to write because listing 10 items could be challenging!